Everybody loves a doughnut, and when we heard that Friday 1st of June 2018 was National Doughnut Day – we wanted all our customers to join in the fun, so we’ve created some limited-edition Chocolate Doughnuts. 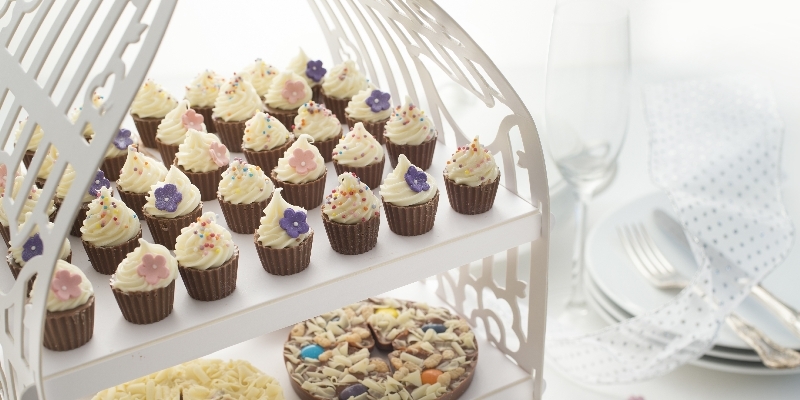 So what’s inside these lovely chocolatey creations? 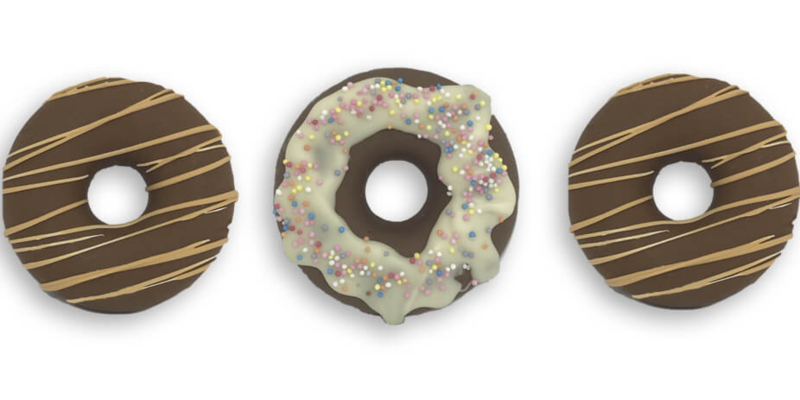 Well the doughnut ring itself is formed using our delicious toffee popcorn, which is then enveloped in gourmet Belgian chocolate and decorated with either white chocolate and sprinkles or drizzled with our Caramel Tintoretto. Originating from the United States National Doughnut Day (or Donut Day) is celebrated on the first Friday of June each year and was established back in 1938 by the Salvation Army in Chicago to honour those who served doughnuts to soldiers during World War I. “About 250 Salvation Army volunteers went to France. Because of the difficulties of providing freshly baked goods from huts established in abandoned buildings near to the front lines, the two Salvation Army volunteers (Ensign Margaret Sheldon and Adjutant Helen Purviance) came up with the idea of providing doughnuts. These are reported to have been an ‘instant hit’, and ‘soon many soldiers were visiting The Salvation Army huts’. Margaret Sheldon wrote of one busy day: 'Today I made 22 pies, 300 doughnuts, 700 cups of coffee'." Today, National Doughnut Day is recognised all over the world and many companies choose to get involved by offering discounts or freebies on their doughnuts in honour of this day, and in recognition of the joy doughnuts have brought to many people’s lives throughout the years. With this in mind, we’re currently offering a discount of 15% on our limited-edition Chocolate Doughnuts and all items across the site until midnight on Sunday 3rd June.